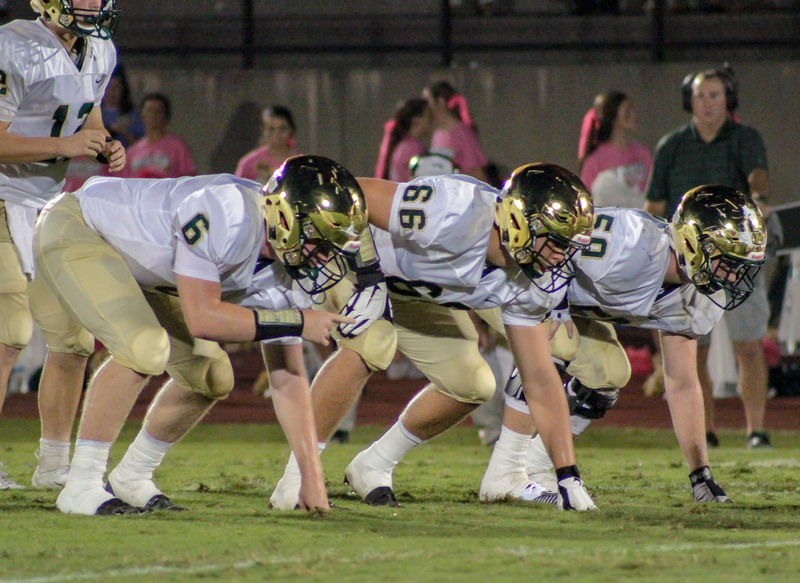 Home / AHSAA / Gridiron Gallery | #7 Mtn. 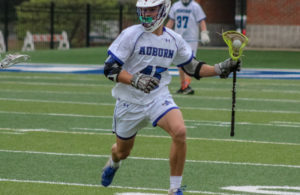 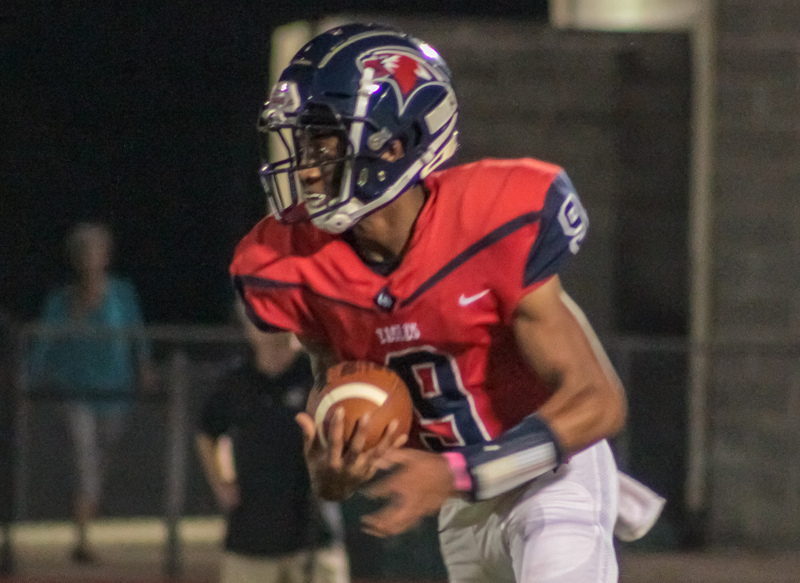 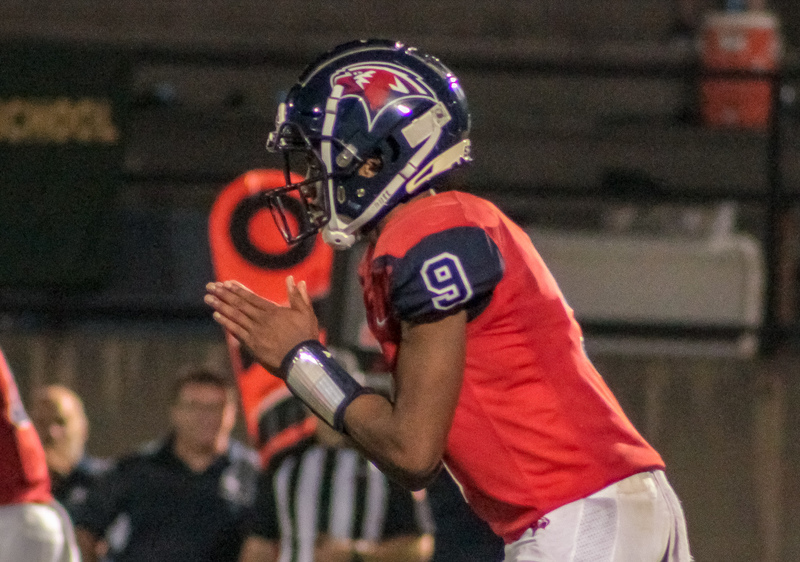 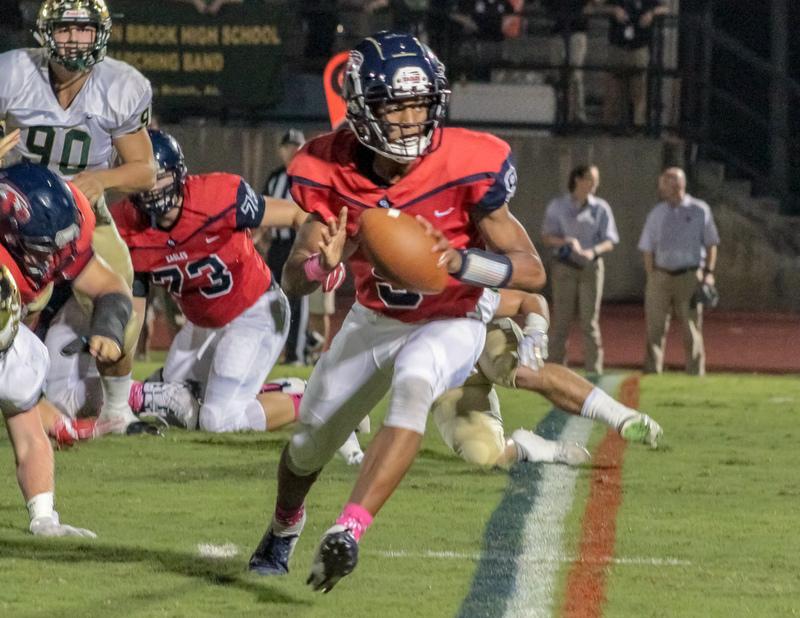 Brook shuts out Oak Mtn. 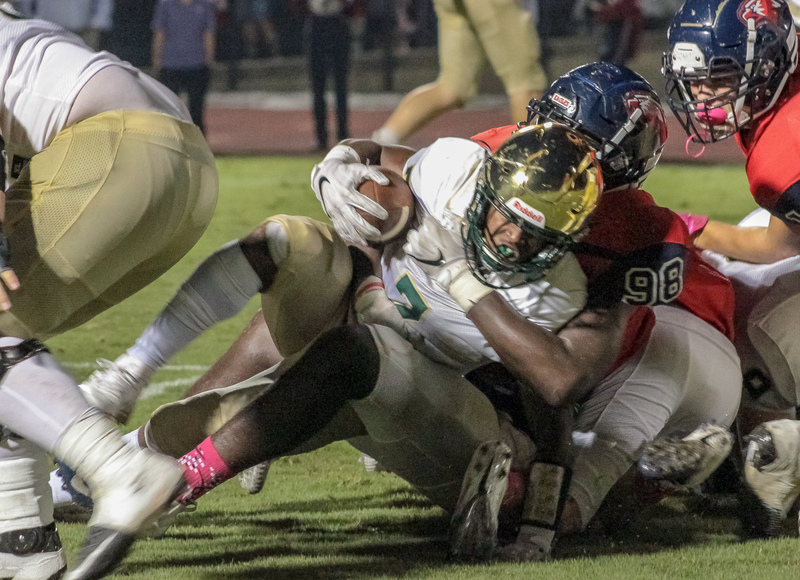 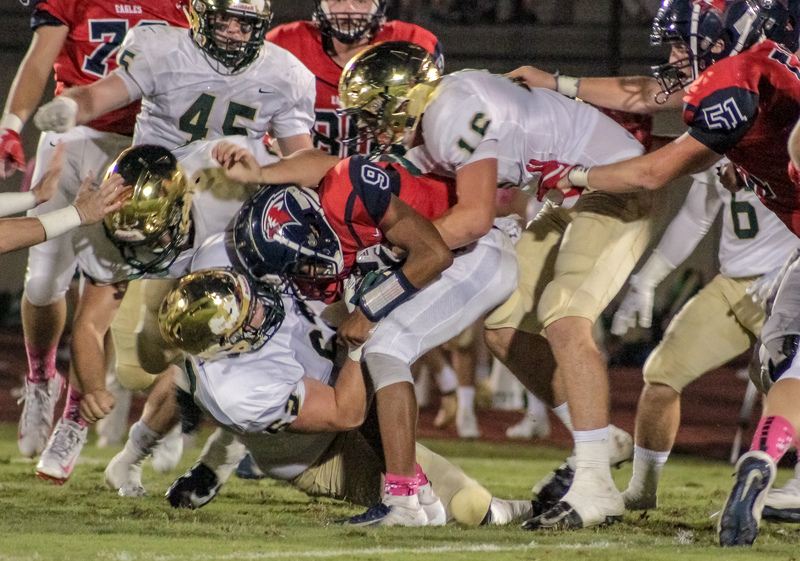 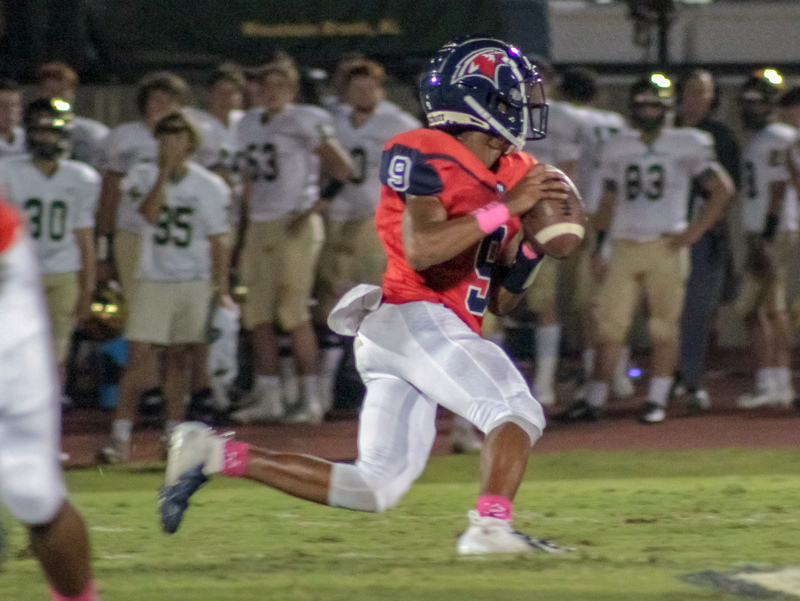 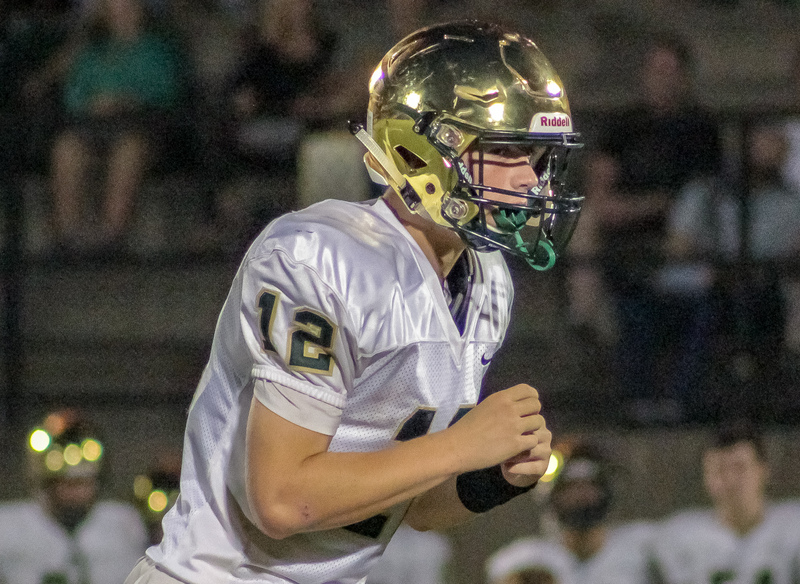 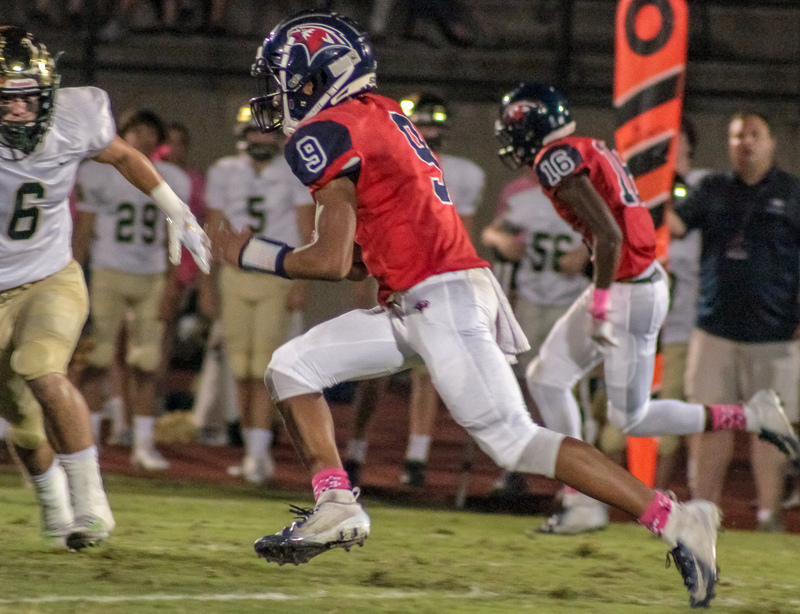 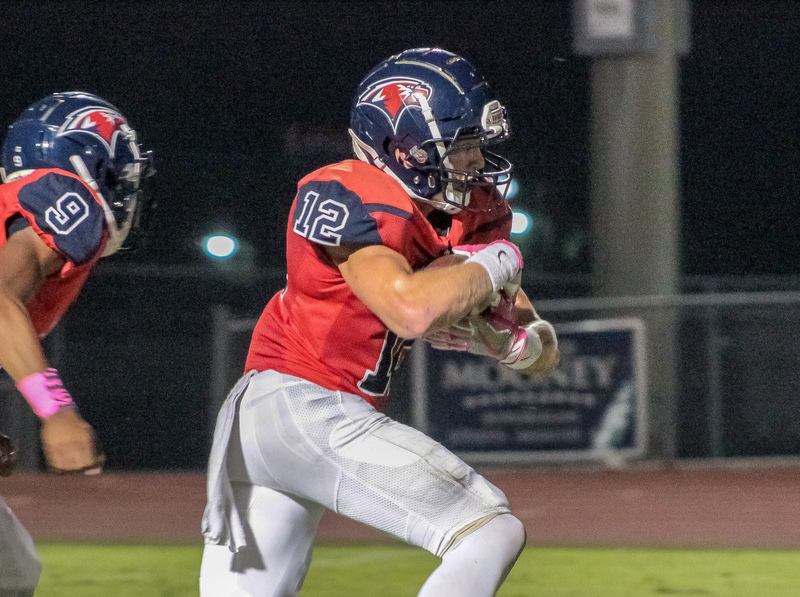 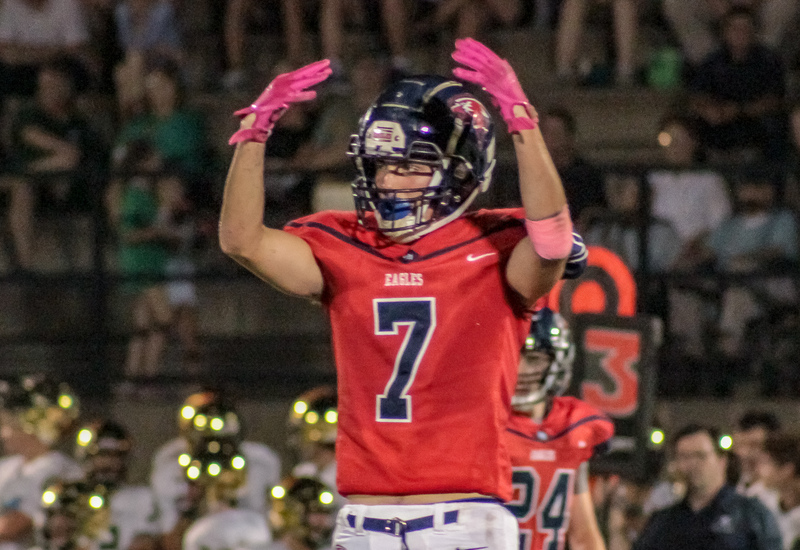 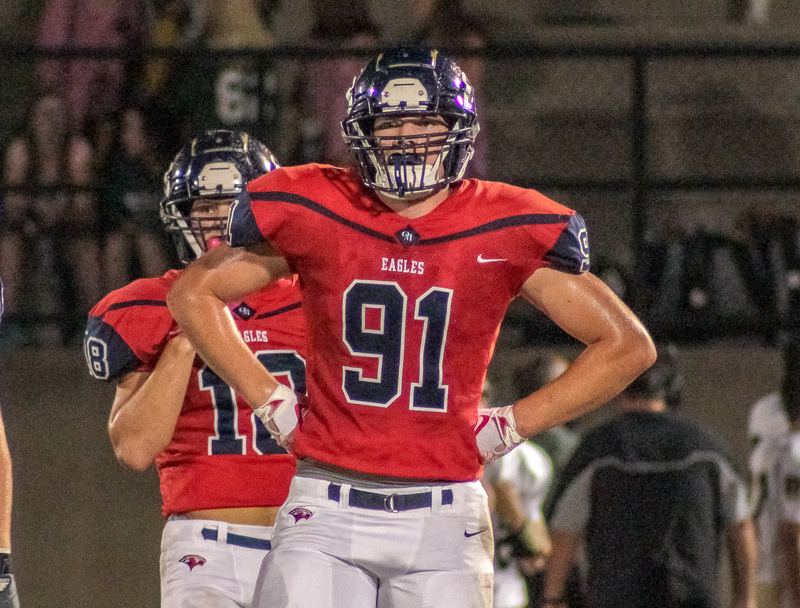 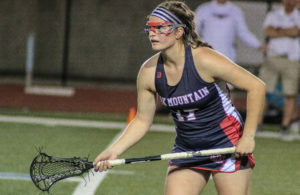 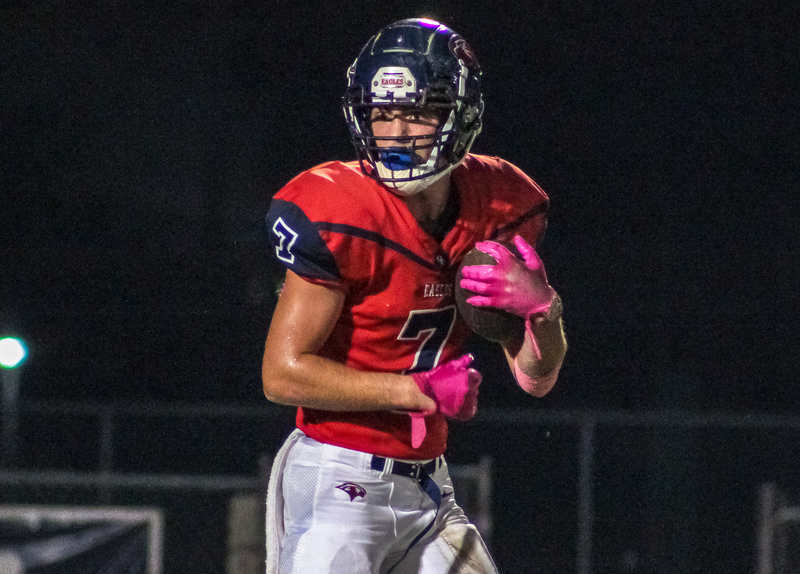 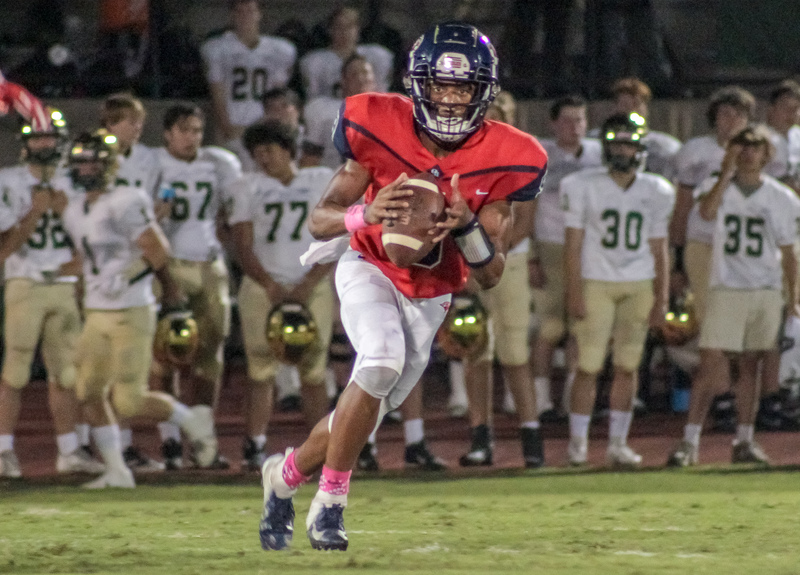 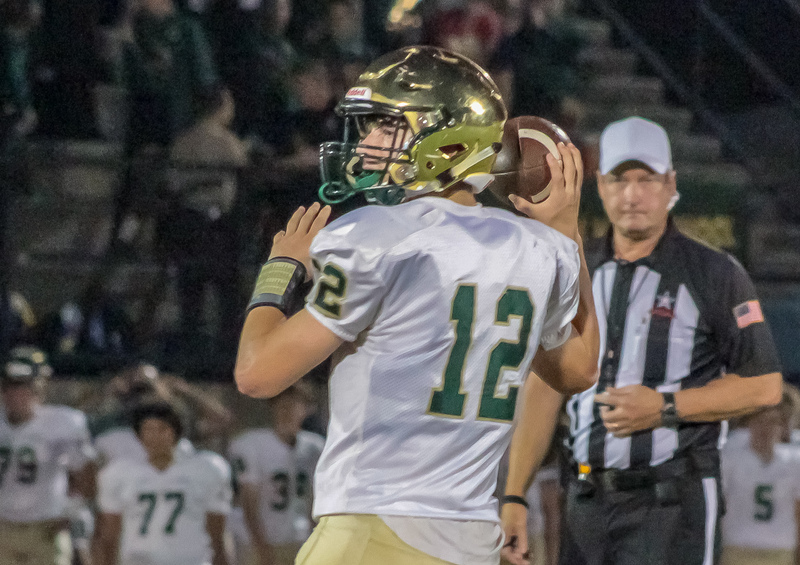 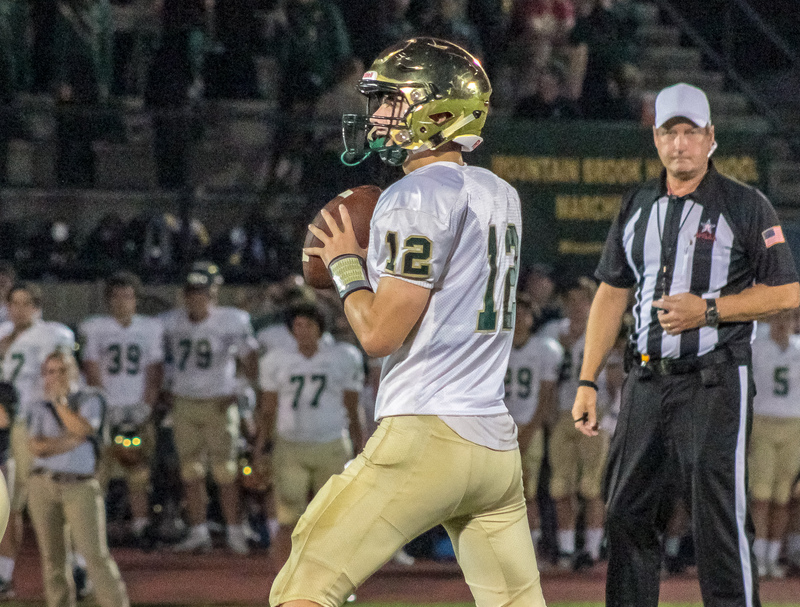 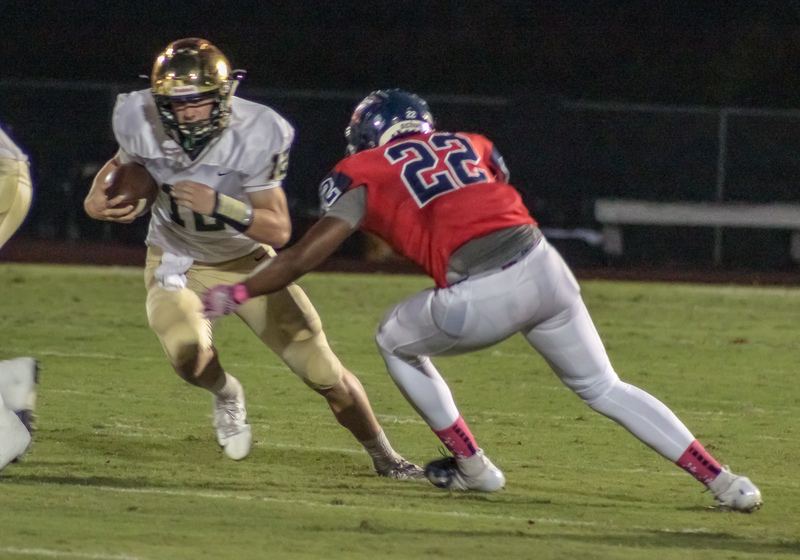 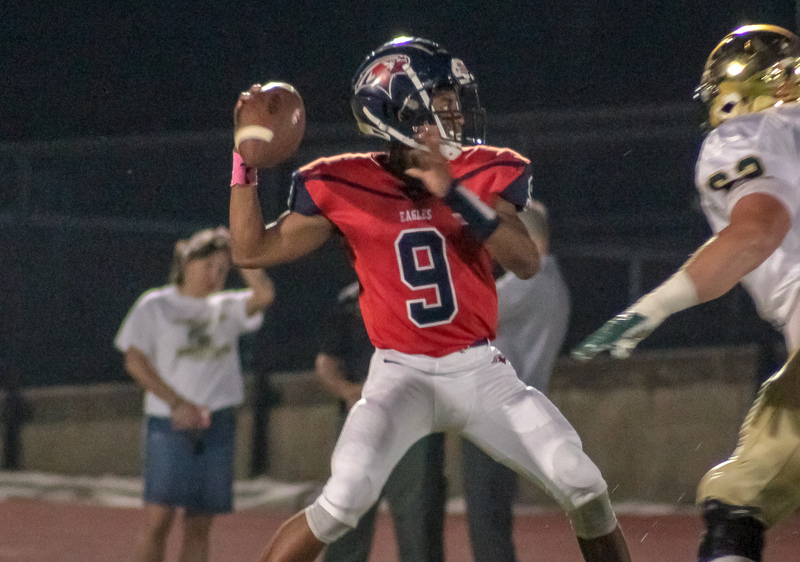 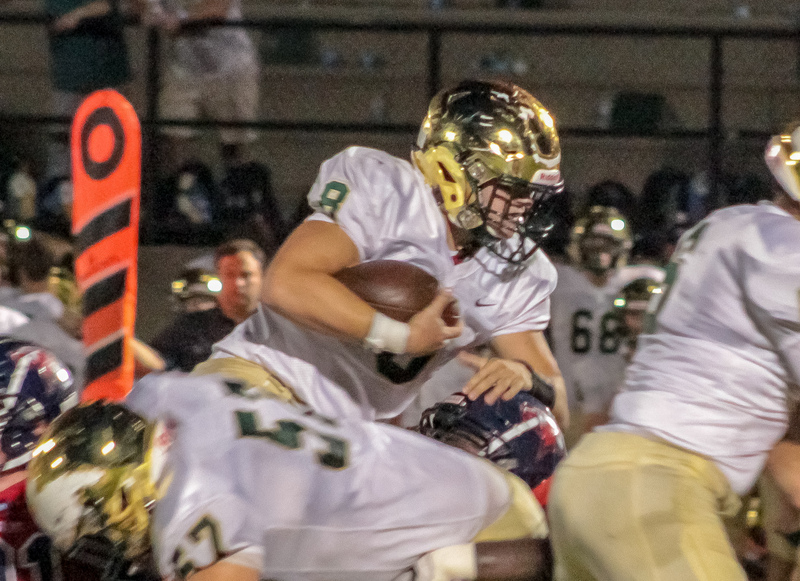 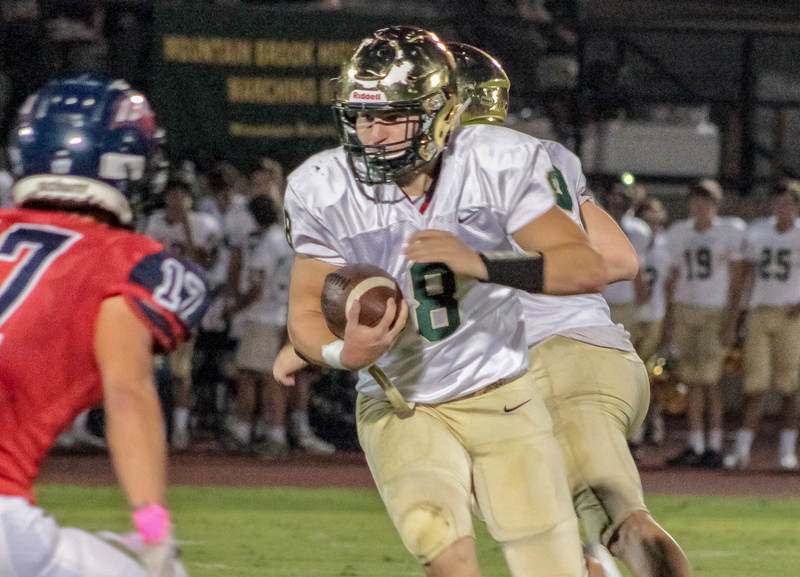 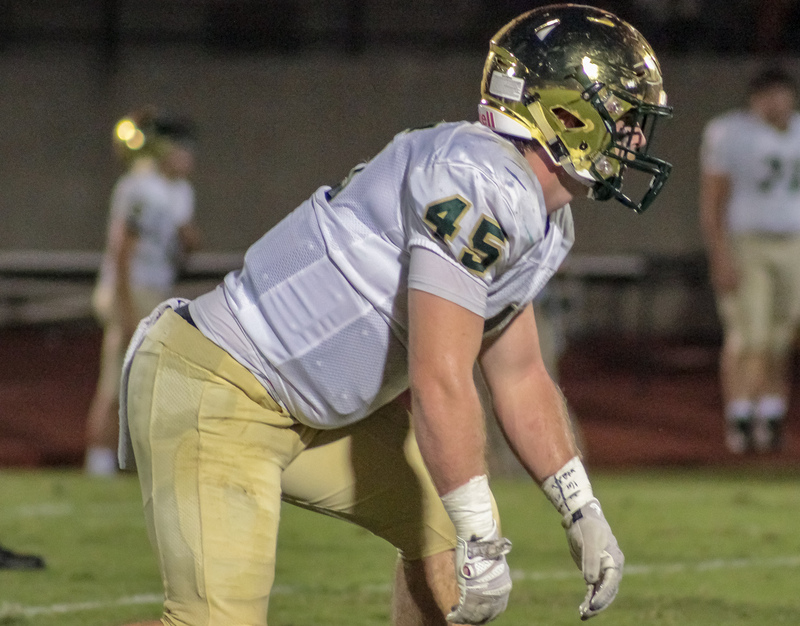 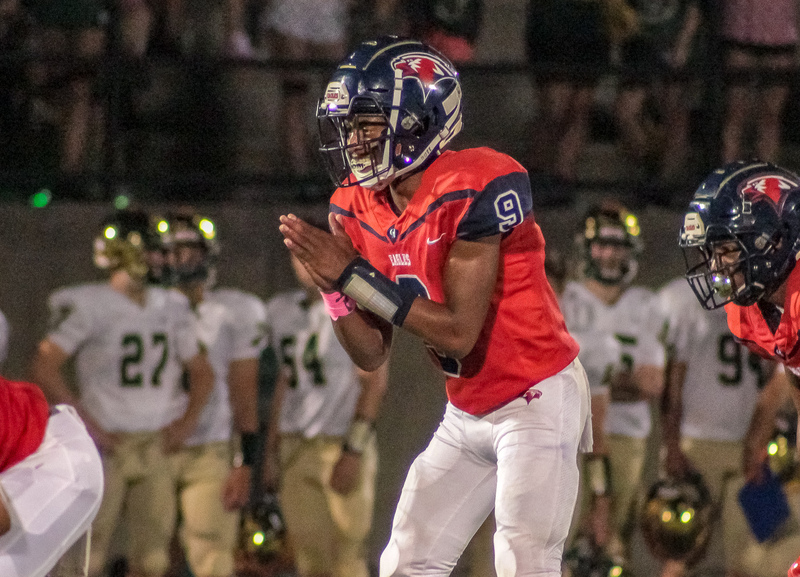 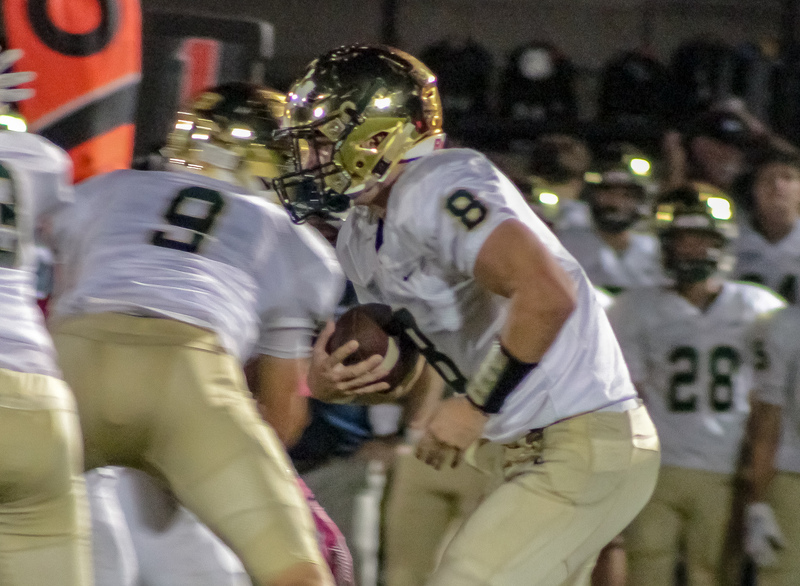 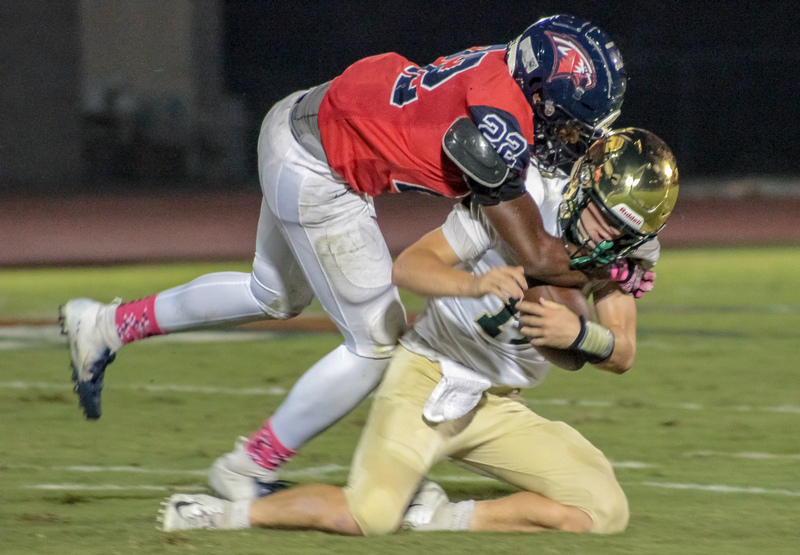 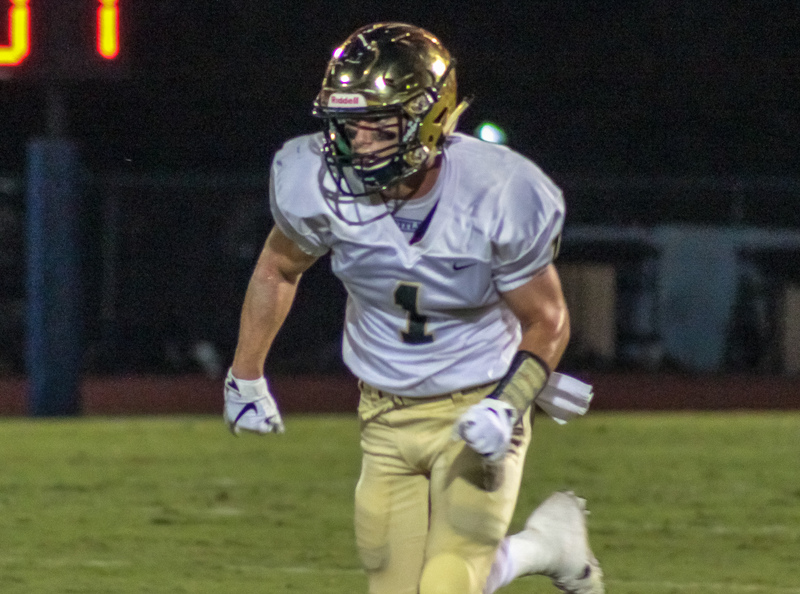 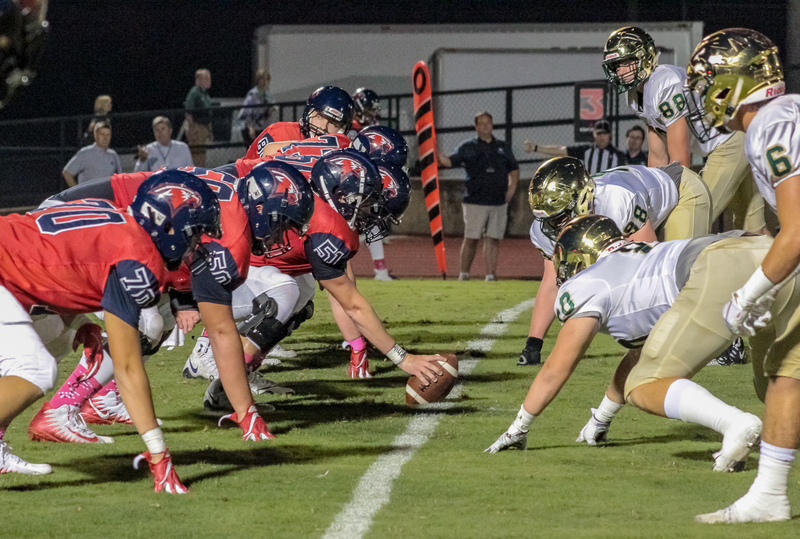 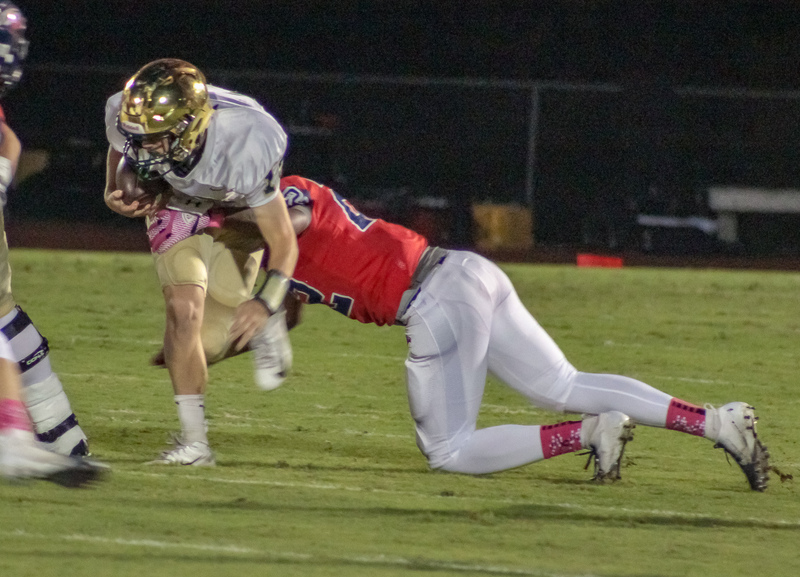 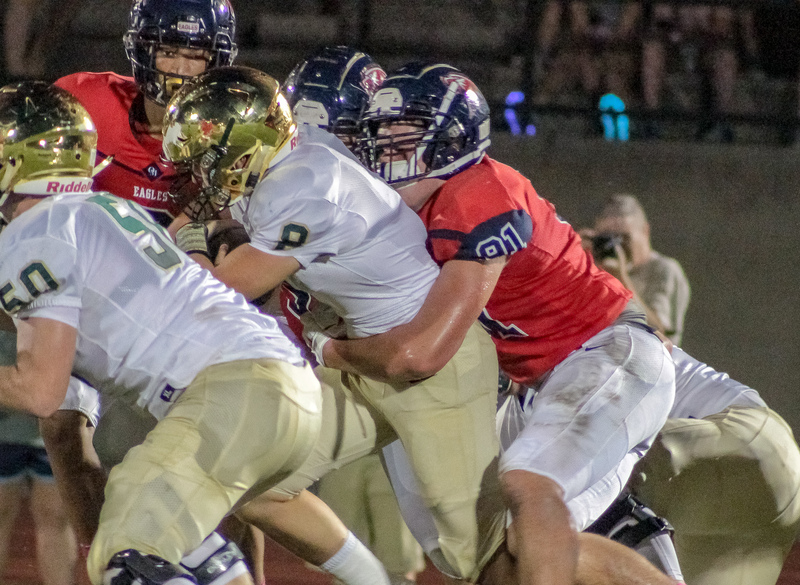 Birmingham, AL – The Mountain Brook Spartans improved to 6-0, 4-0 in region play, with a 21-0 victory over the Oak Mountain Eagles Thursday night at Herdmont Park. 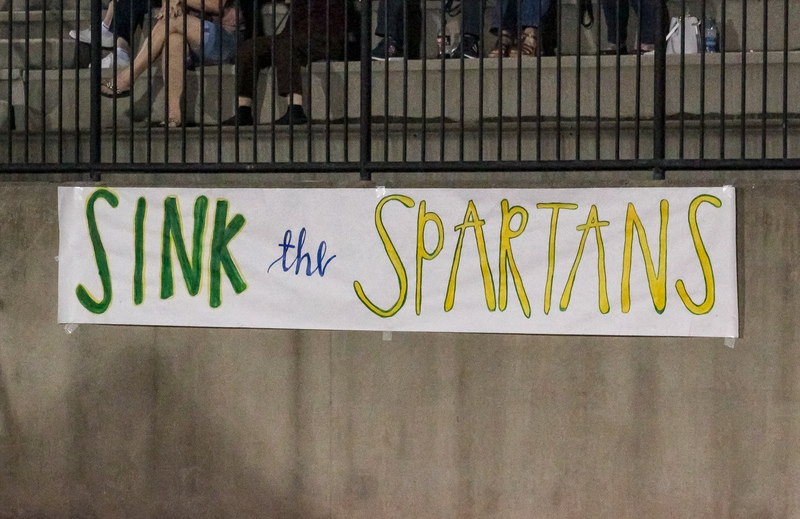 The win gave the undefeated Spartans their third shutout through six games. 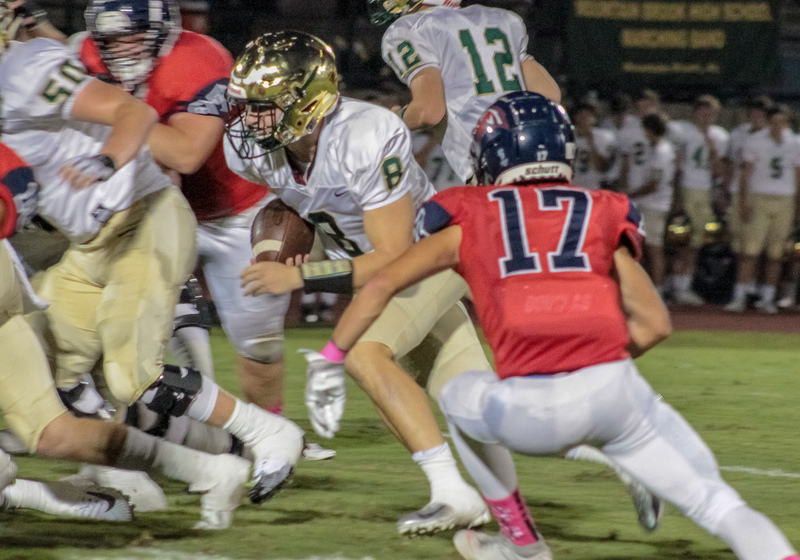 After a scoreless first quarter, Mountain Brook took a 7-0 lead into the locker room after an Alex Washington interception ignited a Spartan six play drive capped by a Daniel Wilbanks rushing score from inside the Eagle 10 yard line late in the second period. 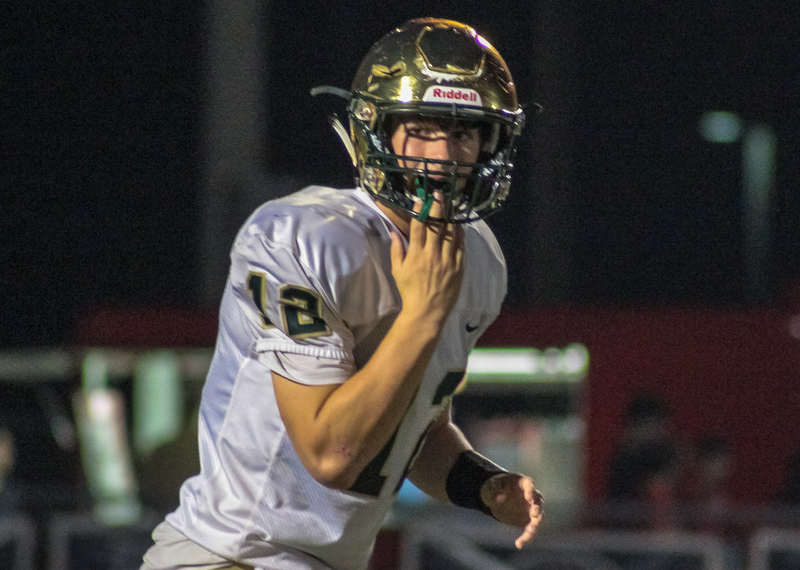 After the break the Spartans picked up where they left off adding a pair of A.J. 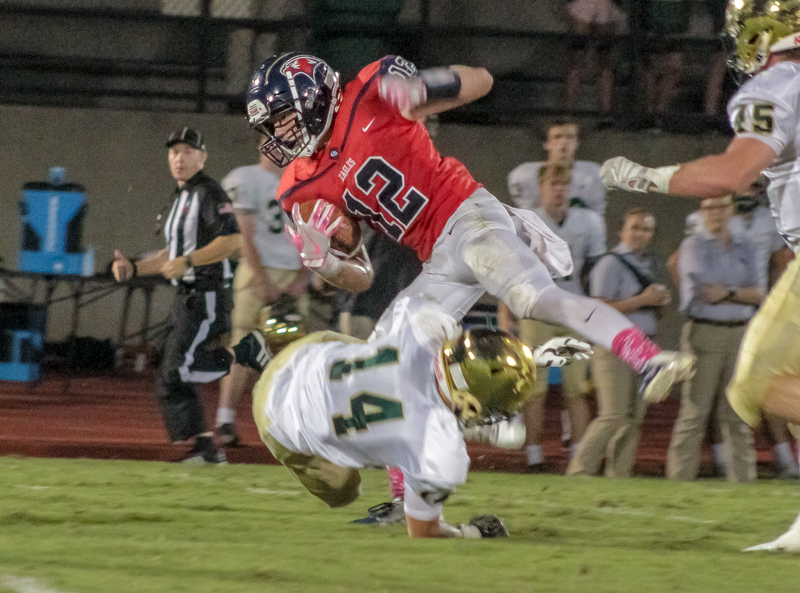 Gates rushing scores in the third quarter, one from just outside the 10, the other a bolt from inside the Oak Mountain 5. 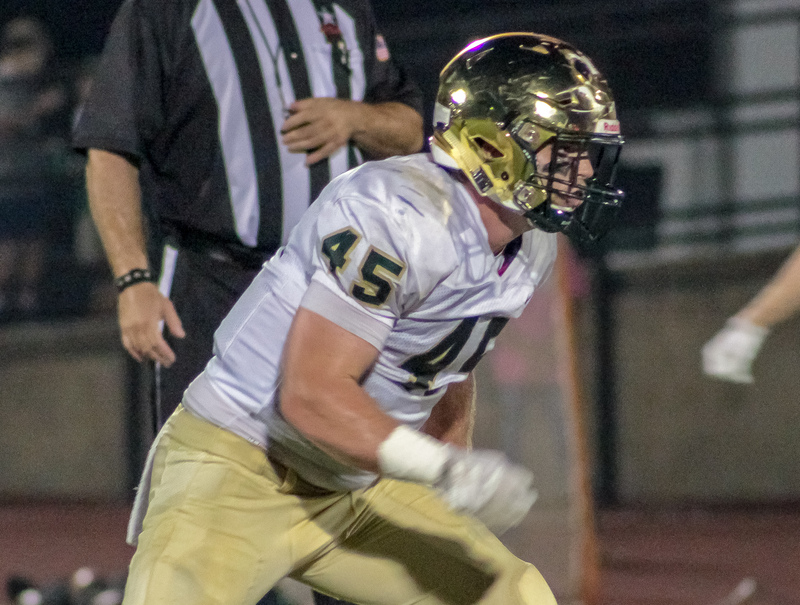 18 Spartans recorded tackles in the shutout lead by senior Colton Yeager with 11 stops. 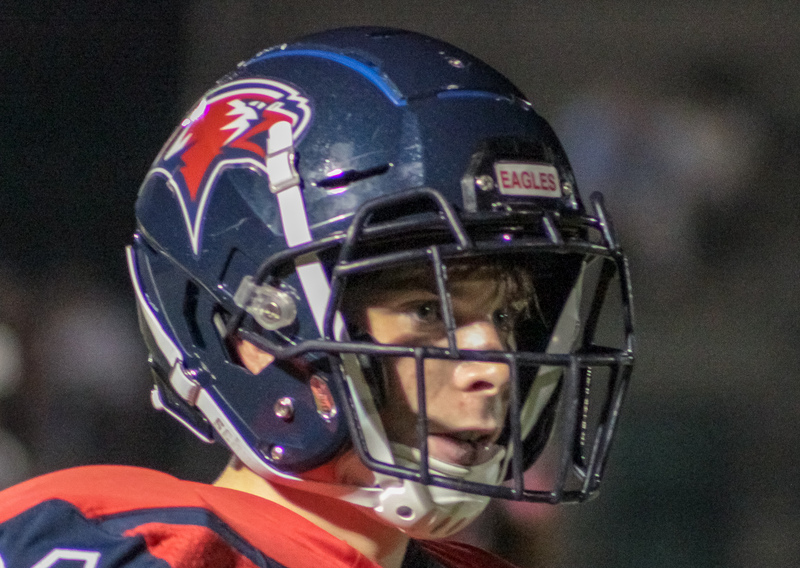 Baynes Autrey and Alex Washington both recorded interceptions. 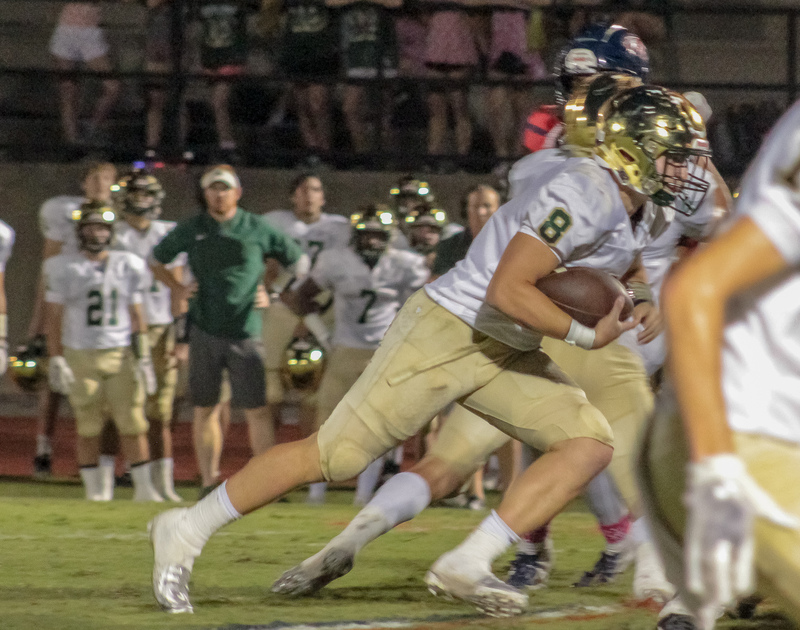 Mountain Brook Strother Gibbs completed 5 of 19 passes for 32 yards while rushing for 32 yards on 12 attempts. 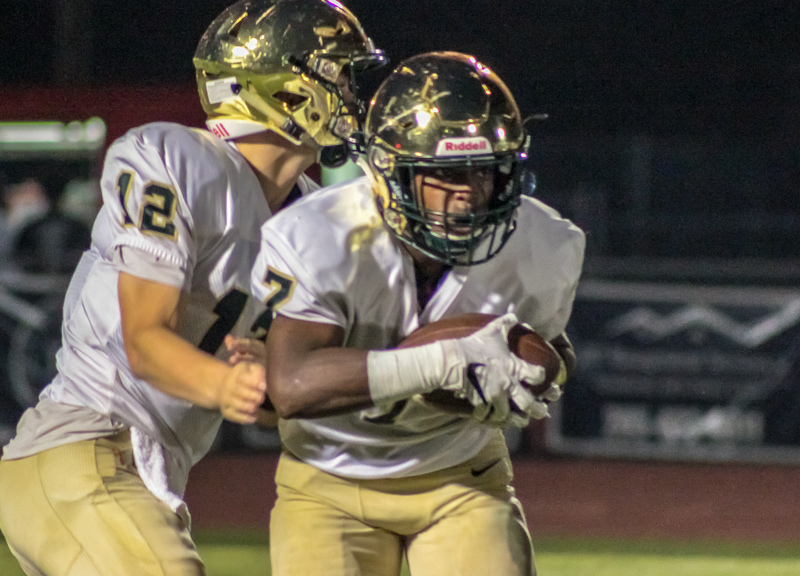 Senior running back A.J. 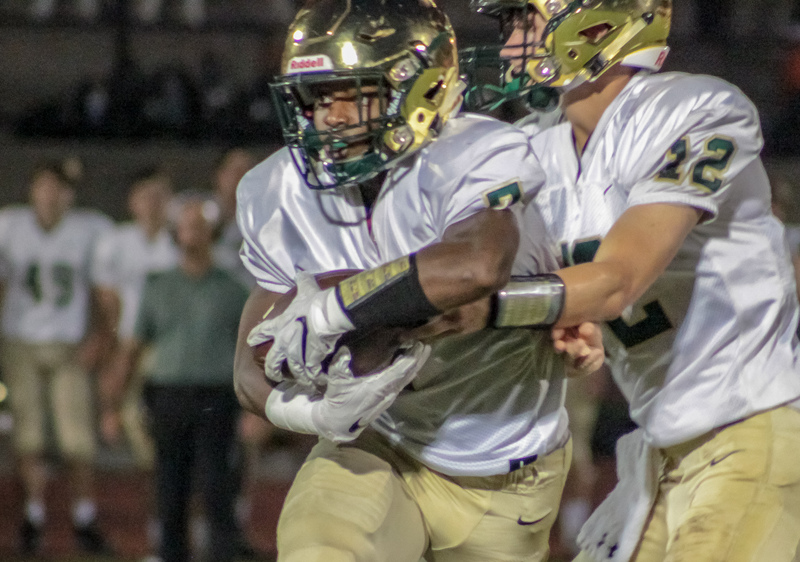 Gates lead the Spartans on the ground with 68 yards on 12 carries and a pair of third quarter touchdown runs. 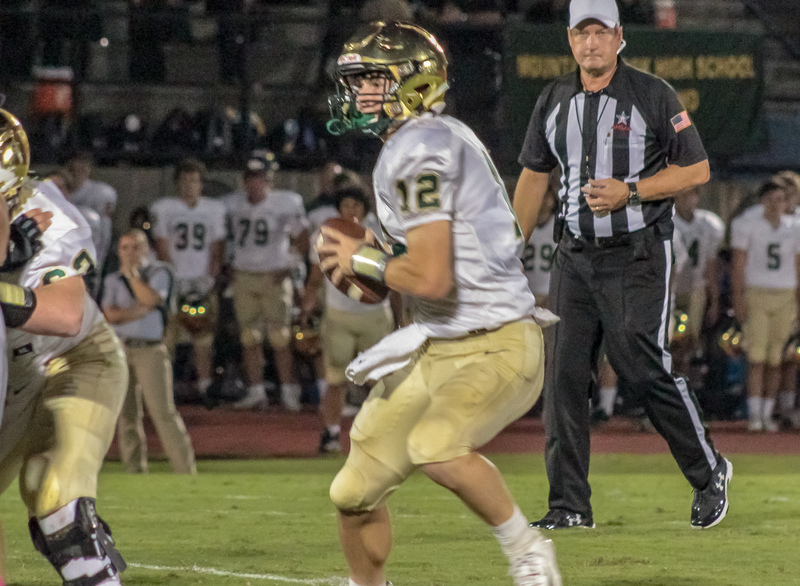 Chris Yeager’s region leading Spartans face a tough stretch over the last four weeks of the regular season. 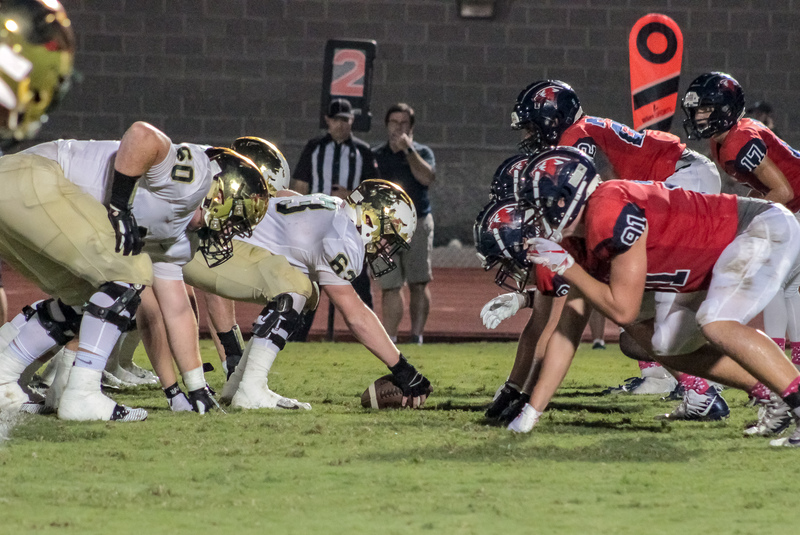 They travel to second ranked Hewitt-Trussvllle (5-1, 3-0) next week before hosing No. 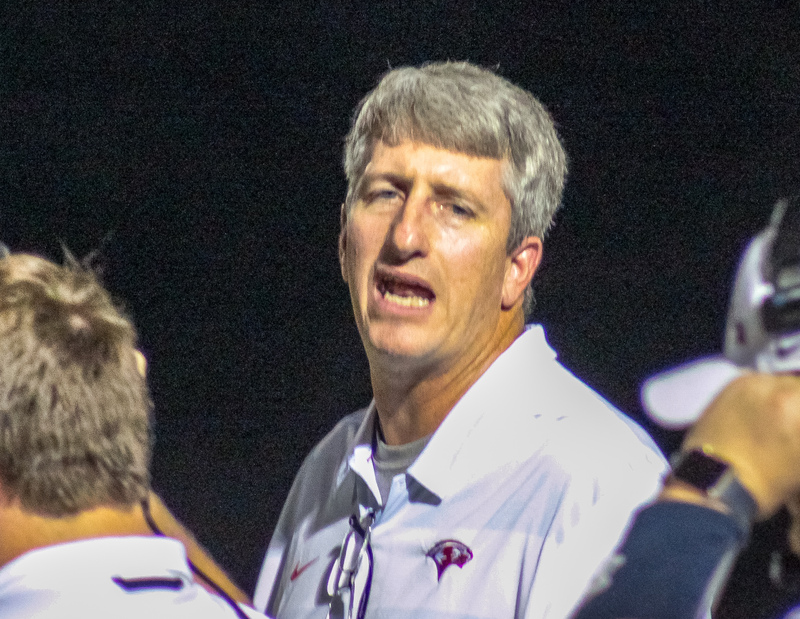 3 Thompson (4-1, 2-1) and traveling to No. 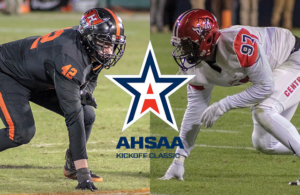 5 Hoover (3-2, 2-1) before welcoming 6A Gardendale (4-2, 2-1) to Spartan Stadium to close out 2018. 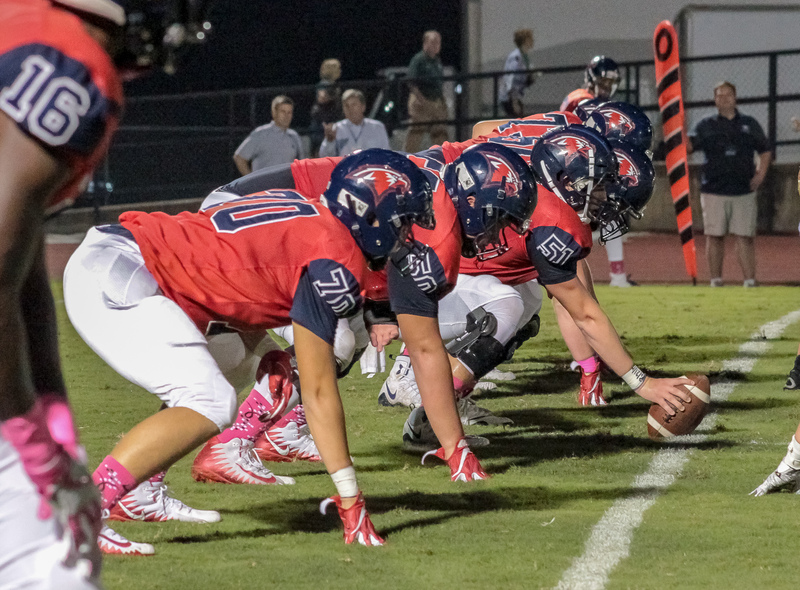 Oak Mountain travels to Northport next Friday to take on the Tuscaloosa County Wildcats (1-4, 0-3).